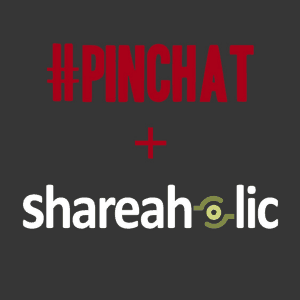 On Wednesday night, Shareaholic was lucky to be a guest on one of my favorite Twitter chats ever: #PinChat. Founded by Kelly Lieberman, a self described “social media sponge”, #PinChat is a great way to connect with other Pinterest enthusiasts and talk about the latest trends on the platform. As Pinterest is now the fourth largest traffic source in the world, it’s incredibly important to understand how to strategically use Pinterest for content marketing. What are some tips you’ve learned about Pinterest? Share your thoughts with us below! Make it easy for your readers to share your content to Pinterest with Shareaholic for your blog.